BLACKMORE’S NIGHT, the group featuring husband and wife Richie Blackmore and Candice Night, will be releasing their new album 'Autumn Sky' on January 18th. With a career spanning nearly two decades, the band of minstrels has gained crossover success all over the world with its new genre of “Ren and Rock” music. The lyrics, written by award winning singer/songwriter Candice Night, are inspired by nature and the myths and fairy tales they encounter on their international travels. The melodies, composed and arranged by Grammy nominated Ritchie Blackmore, encompass musical structure and the essence of melodies from the early 1600s. And then they are “Blackmore-ized.” Blackmore's Night's last album, Secret Voyage, debuted at #1 on the Billboard New Age Chart and held that spot for four consecutive weeks. In addition to being known from their unique sound which combines traditional as well as modern day instruments (including electric and acoustic guitars, keyboards, violins, shawms, chanters etc), and Candice's enchanting lyrics and vocals, they are also known for their fabulous live shows, many of which have been performed at castles and other exceptional venues that add to the mystique and warmth of their performance. Blackmore's Night has appeared nationwide on PBS and Discovery channel specials, and has been awarded the Best Album of the Year and Best Vocal Album of the year by NPR New Age Reporter for their past 7 studio CDs. Autumn Sky brings us 14 new Blackmore's Night songs, plus a cover of “Celluloid Heroes” from The Kinks. Recorded during Candice's pregnancy, Candice and Ritchie have dedicated the Autumn Sky album to their newly born daughter Autumn Esmerelda Blackmore. Enjoy The Ride Records will be releasing The Starting Line's 'Make Yourself At Home' EP and 'With Hopes Of Starting Over' EP on 10" vinyl in March. The release will be limited to 500 and will be available to pre-order in February. 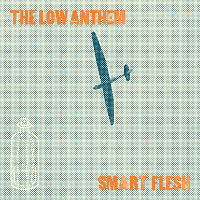 The Low Anthem have revealed the cover art for their new album, 'Smart Flesh,' which will be released February 22 via Nonesuch. The first 5,000 CDs will come in letterpress printed packages with a bonus disc featuring three unreleased tracks from the 'Smart Flesh' recording sessions. In addition, the first 5,000 vinyl copies will come in exclusive letterpress packages. As far as the masses are concerned, vinyl records were eclipsed by tapes decades ago. But records still hold a special place in hip-hop culture. Producers use them to "sample," which is to cut brief segments out of a record and piece them into a beat - a common method made mainstream by producers like Kanye West and Just Blaze. These days, finding rare records is a hobby all in itself - one many in Tacoma call their passion. PRLog (Press Release) The end of an era. After serving the Tampa Bay area for almost 30 years, Vinyl Fever, located at 4110 Henderson Blvd. in South Tampa, will close its doors at the end of February. Known for its knowledgeable staff and extensive, eclectic selection of new and used CDs, vinyl records and related merchandise, Vinyl Fever has drawn customers from across the state and beyond. Recently voted one of the Top 25 record stores in the country by Rolling Stone magazine, Vinyl Fever (http://www.vinylfevertampa.com/) endured in no small part because its crew lives and breathes music, passionately providing customers with information and an experience they cannot get at other stores. Everything in the store will be sold, including the famous guitar autographed by the Rolling Stones that’s had a “Not for Sale” sign on it for years. For now, most items will be 30%-50% off. As the independent music scene grew in the late 1970's, two idealistic bohemians named Sam and Dave pooled their personal record collections, music knowledge, and a few hundred bucks to open Singing Dog Records in Columbus, Ohio. Through their store they met Mike, who managed a similar store in Cleveland. Mike had lived in Tampa, was eager to return, and helped open Vinyl Fever in 1981. A Tallahassee store soon followed. Dave's brother Lee followed in Dave’s footsteps. Starting out at Singing Dog, Lee transferred to Tallahassee in 1984 and took charge of all of the stores in 1987. Over time, Vinyl Fever Tampa split from its sister stores, still managed by Lee and an amazing crew of music aficionados. 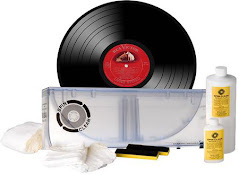 Sound Stage Direct elaborates on why the love of vinyl is more visible and audible than ever today even with digital music format hogging the airwaves. PRLog (Press Release) – Jan 06, 2011 – Doylestown, Pennsylvania – From the homes of baby boomer folks to college dorm rooms, it appears that an antique music medium has slowly been resurfacing amidst today’s modern age. Vinyl’s got its groove back, it seems, and Sound Stage Direct couldn’t be happier. The company caters to the vinyl-appreciating crowd which, compared to track records from early on, are enjoying a slow but steady increase of supporters. According to Seth Frank, the unattractive audio quality from mp3 players has made audiophiles turn to other mediums to enjoy their music and have found a rare gem in vinyl records. “Sales are up. We see purchases for new and old vinyl releases from music fans across various ages and music genres.” says Frank. This is a bit surprising, considering how much the art of listening to music has changed through the years. Music shops have cassette tapes and CDs, and the internet offers mp3 music files, most of them for free. So why would anyone bother to pore through stacks of bulky old albums that won’t even fit inside his pocket? Yet this is exactly why vinyl records appeal to music enthusiasts who are looking for the perfect listening experience. Vinyl record collectors are in it not just because of the warm nuanced feel of each track from a vinyl album. The cover of a vinyl record, for one, is something tangible and allows the listener to go over the song lyrics of each track, hold it with his hands, and admire the artistry unique only in vinyl album cover art. Listening to a vinyl record is indeed not only a musical experience but a social phenomenon as well. It offers an opportunity for fans of the same artists to convene in a room and comment on the vinyl record foldout photos. Fans of artists like The Doors or the more modern The White Stripes can talk openly with something tangible in their hands, making the vinyl listening experience more socially interactive, as opposed to listening to a track alone with an mp3 player. Vinyl’s still got it going on, and from the way it looks and sound it will take a lot more than just digitalized music to stop vinyl enthusiasts from showing their appreciation for vinyl. 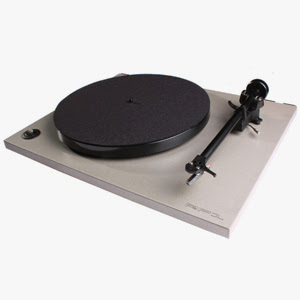 SoundStage Direct, LLC is an online independent store based in Doylestown, Pennsylvania. SSD has the largest selection of new releases and vinyl reissues online. And you don’t want to miss amazing closeout deals available at our LP outlet! We have vinyl LPs in every genre and in a variety of formats available ready to be shipped at your doorstep. 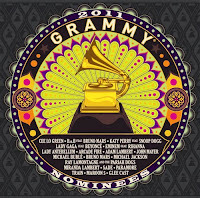 Tracklisting and cover art for this year's Grammy nominees compilation have been unveiled by the National Academy of Recording Arts & Sciences. 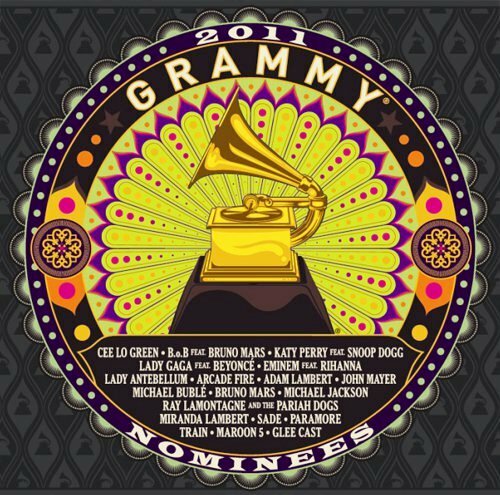 The album includes 19 hit singles from 2011 nominated musicians and will be made available for purchase across United States on January 25. A portion of the proceeds from the sale of the album will benefit the MusiCares Foundation and the Grammy Foundation, two charitable organizations established by the Recording Academy. NEW YORK, Jan. 6, 2011 /PRNewswire/ -- An artist who bridged East Coast and West Coast roots-rock movements, and led the next generation of post-2000 acoustic-based singer-songwriters, Pete Yorn now receives a well-deserved tribute with musicforthemorningafter: 10th ANNIVERSARY EDITION. This double-disc repackaging of his classic debut album will be available at all physical and digital retail outlets starting March 29, 2011, through Columbia/Legacy, a division of SONY MUSIC ENTERTAINMENT. Released by Columbia Records on March 27, 2001, musicforthemorningafter has now been newly remastered by Grammy Award-winning engineer Bob Ludwig. The original 15-song album comprises CD One of this commemorative 10th ANNIVERSARY EDITION. Collectors will note that the final track of the album, which has remained an unindexed "hidden" track in catalog all these years, is now formally indexed and identified: "A Girl Like You." The KCRW show took place on the day of the album release, March 27, 2001. Although promotional copies were circulated, and material subsequently turned up as bonus tracks on various releases, it has never been commercially available in its entirety until now. The band included Pete on vocals and acoustic guitar, musicforthemorningafter album producer R. Walt Vincent on bass, long-time college bandmates Waz on guitar and Joe Kennedy on piano and electric guitar; and Scott Cougan on bongos and percussion. The rest of CD Two comprises four rarities: A previously unreleased demo version of "Closet" (from Yorn's personal archive); a previously unreleased song titled "The Barber" that was cut during the musicforthemorningafter sessions; "Knew Enough To Know Nothing At All," which has appeared as a bonus track and a B-side on various vinyl configurations in Europe and Japan; and "Life On A Chain (Hooky's Mix)," a previously unreleased mix by Brad Wood (another musicforthemorningafter album producer) made especially for this 10th ANNIVERSARY EDITION. musicforthemorningafter: 10th ANNIVERSARY EDITION will be available as a two-CD set, and also as a special two-LP set on 180-gram vinyl. The two-CD set will include a new liner notes essay written by Rolling Stone senior editor David Fricke, along with a personal note written by Yorn to his fans. At the time of its release, musicforthemorningafter sent critics into a tailspin, as they attempted to nail down Pete Yorn's sound. "Yorn's influences," Entertainment Weekly wrote, "from Springsteen to Pavement, cast too strong a shadow. But he effectively marries creaky jam-band vibes and swirly indie-rock riffs and even makes a simple 'uh uh uh uh uh' chorus ('Murray') sound amazingly fresh," referring to the song Pete wrote in New Zealand, after reading Heroes & Villains, the biography of the Beach Boys and their father, Murray Wilson. "I like an element of mystery," Pete said in 2001, "I don't want to explain myself. I couldn't really if I tried. I don't think it would make much sense to anybody anyway." In fact, Pete Yorn was just a regular kid from suburban Montville, New Jersey, born in 1974 to regular parents – his father, a dentist, and his mother, a former concert pianist turned schoolteacher. At age nine, Pete taught himself to play his older brother's drum kit, and it was '80s classic rock – "Rush, Black Sabbath, and Van Halen," as he told Details – that was his first point of reference. Later on, a girlfriend turned him on to Morrissey and the Smiths, and Echo & the Bunnymen; R.E.M. and Big Star also figured into the mix. And of course, the Boss was unavoidable – early shows a decade later might include Pete's cover of "New York City Serenade" from 1973's The Wild, the Innocent & the E Street Shuffle. By the time he was in high school, Pete was playing drums in basement bands with names like Backgammon For Troubled Youth. One story recalls his bandmates talking him into singing the Replacements' "Talent Show" – at a talent show – even though he'd never sung in public before. It caused such a stir that a competing band cajoled Pete back onstage to sing Neil Young's "Rockin' In the Free World" with them. He never looked back. It was a quick segue to his first blush of songwriting. Pete graduated from Syracuse University with a degree in communications, and headed to Los Angeles to seek work composing for film and television. His brother Rick was a highly successful agent there, representing an A-list of Hollywood stars; their other brother Kevin was an equally successful entertainment lawyer with his own A-list. When Pete started playing out at clubs, it was not uncommon to see a quorum of these celebs in the audience. Early fans of Pete's music ran the gamut from Liz Phair and Hole's Eric Erlandson, to Ed Burns, Cameron Diaz, Matt Dillon, and Wynona Ryder. One patron was the Farrelly brothers' longtime producer Bradley Thomas, who caught Pete's sets at Largo and took a copy of his demo. Within a week, Pete received a phone call from Thomas, and the Farrellys, with "Life On A Chain" cranking in the background in their office, asking if he wanted to score their new film, Me, Myself & Irene, starring Jim Carrey. They were intentionally looking for someone who'd never done a score before; it took Pete and R. Walt Vincent three weeks to complete the score in Vincent's garage. In addition to the score, the film (released June 2000) also included Pete's original compositions, "Strange Condition" and "Just Another." The soundtrack album (Elektra), predominantly Steely Dan covers by major artists, also included "Strange Condition," which was soon discovered by Modern Rock and Triple-A programmers. "Just Another" made waves when it was heard on an episode of Dawson's Creek. At the same time, Pete had won the heart of Columbia Records' A&R, and was working on his debut album. He was paired with several producers, including Vincent, who had a large following after his work on Jonathan Elias' The Prayer Cycle (Sony Music, 1999), a fascinating spiritual-based symphonic work with the London Chamber Orchestra and vocal soloists including Alanis Morissette, James Taylor, Linda Ronstadt, and the late Nusrat Fateh Ali Khan and Ofra Haza. Besides Vincent and Pete himself, other producers on musicforthemorningafter included the ubiquitous Don Fleming (Gumball, Sonic Youth, Dinosaur Jr., Teenage Fanclub); Brad Wood (Liz Phair, Smashing Pumpkins, Ben Lee); and Ken Andrews. 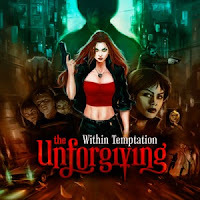 As a result of loyal radio airplay for "Strange Condition" (which hit #36 on Billboard's Modern Rock Chart) and "Life On A Chain" (#35 on the Adult Top 40 chart), the album sold strong and steady throughout the decade, surpassing RIAA gold with sales north of 650,000 copies to date. Pete Yorn's first three albums on Columbia Records constituted a trilogy of sorts, a day-in-the-life (although he would not admit that it was an intentional release concept): musicforthemorningafter (2001), Day I Forgot (2003), and Nightcrawler (2006). His next album (and final for Columbia) was appropriately titled Back and Fourth (June 2009). Three months after its release, Yorn returned on a new label (ATCO/Rhino) for an album of duets with Scarlett Johansson, the 29-minute Break Up (September 2009), reportedly inspired by Serge Gainsbourg's 1967 and '68 collaborations with Brigitte Bardot. Most recently, Pete was back on a new label (Vagrant) with the self-titled Pete Yorn (2010), produced by Frank Black of the Pixies.